The idea of turning a new leaf at the start of the year isn't relevant only to the resolutions that people make for their personal lives. The first weeks of January are a key moment for businesses, too, as they set the tone for the first quarter and the year ahead. This year, manufacturers in the United States have reason to be optimistic about their prospects over the coming 12 months. New data on the industry's performance in the final weeks of 2013 reinforced signs that the economy is headed in a positive direction, and manufacturing has a key role to play in the recovery. 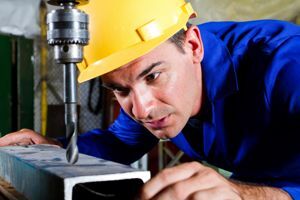 The Institute for Supply Management recently announced that December was the 7th consecutive month of growth for the domestic manufacturing sector. The Purchasers' Manufacturing Index registered 57 in the final month of 2013, well above the 50 points that signify favorable levels of activity. That number represents a slight drop from November's mark of 57.3, but in light of other factors, there's no reason to believe the sector is slowing. The Employment Index for last month increased in comparison with November, jumping from 56.5 percent to 56.9 percent. Furthermore, the New Orders Index for manufacturing came in at 64.2 percent, its highest reading in more than three years. The U.S. isn't alone in its manufacturing growth, either. Reuters reported that despite sluggishness in the Chinese market, manufacturing numbers are up in Mexico, and other sections of the global economy are holding steady. "Europe has turned the corner. It's not contracting at least. The emerging markets are doing better. We are looking for growth to pick up once again in the new year and we have few headwinds to deal with, especially less fiscal drag," said Raymond James Chief Economist Scott Brown, according to Reuters. As global supply chains return to health, companies will want to take a second look at their procurement practices and supplier relationships. Failing to bear in mind the principles of spend management could be costly at a time like this, when growth is real but still precarious. Firms may find, for instance, that supplementing their domestic supplier network with offshore manufacturing offers them a wider range of options for reducing costs. The new year is also a good time to recall that one of the chief lessons of the 2008 financial crisis is that bad business practices inevitably come back to haunt companies. Executives need to ensure that their businesses are growing both steadily and sustainably.